A stark admission from Steven Gerrard, self-deprecating honesty from Jürgen Klopp, and the future plans of Liverpool legend Xabi Alonso all feature in this week's round-up of the best LFC quotes. "Now I’ve got more respect for managers and coaches; I used to think I was the best coach and manager in the world when I was a player." 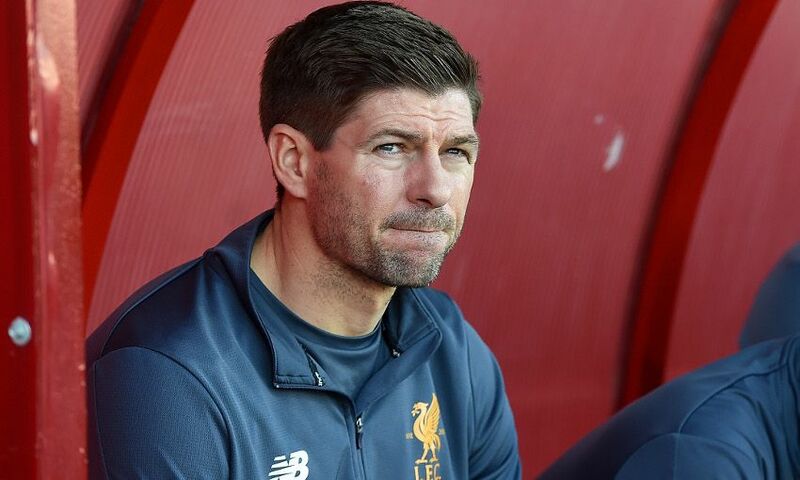 Steven Gerrard opens up on the lessons he has learned about the difficulties of management since taking charge of Liverpool U18s last summer. "I was never happy with my football, to be honest." In response, Jürgen Klopp explains that he found the playing part much, much harder. "He is doing things nobody expected him to do." Former Liverpool defender John Arne Riise pays compliments Mohamed Salah on a debut season with the Reds that has seen him find the back of the net 36 times so far. "I have an idea, to get ready, but there’s no rush. I’ve lived a lot of things, but to be a coach or manager is another thing. Time will tell." Having played like a man who hung up his boots too early in the Legends game at Anfield, Xabi Alonso discusses his plans to move into coaching. "I think at the moment, for this team, a young team, he’s the best choice and it’s a great achievement for him." Another Reds legend, Dirk Kuyt, hails compatriot Virgil van Dijk after he was named Netherlands captain earlier this week. "It’s the Brazilian flair! I trust him – I don’t think he’ll miss. It’s just what he does, his freedom and creativity is what makes him so good. You’ve got to embrace his creativity." Joe Gomez gives his take on teammate Roberto Firmino's penchant for a no-look finish. "That pressure in training every single day built me into the player I am today. That was a huge thing for me. He moulded me into a man from a boy – I can only thank him for that." High praise indeed for Academy director Alex Inglethorpe from Trent Alexander-Arnold. "I think if we get the loan right, a player gets credibility among the coaching fraternity and in football in general. And when they come back to Liverpool, they’ll be more equipped with the demands of being a Liverpool player." Julian Ward reveals his priorities as loan and pathways manager in another fascinating edition of 'Behind the Badge'.